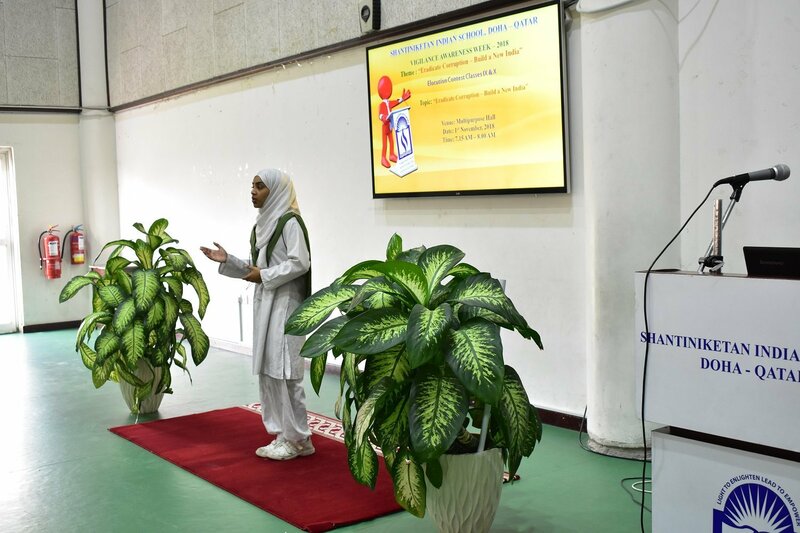 The Social Science Department of SIS organized various activities during the Vigilance Awareness Week -2018 reflecting the theme “Eradicate Corruption – Build a New India”. 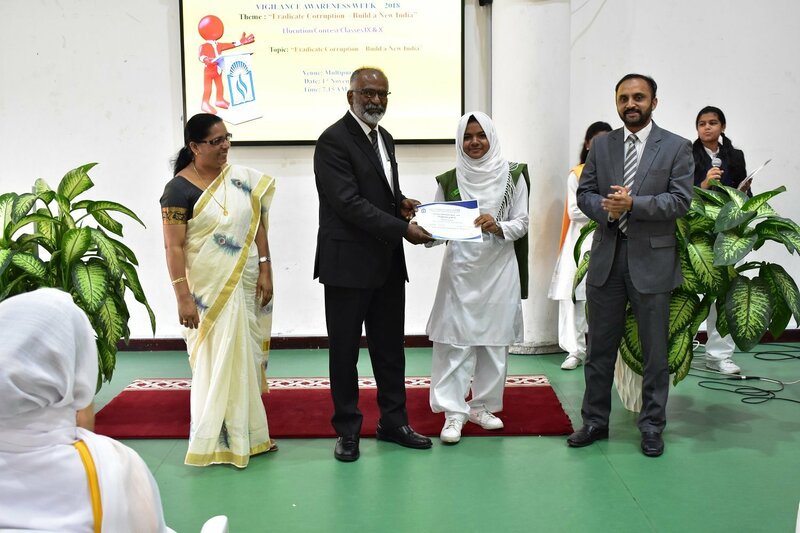 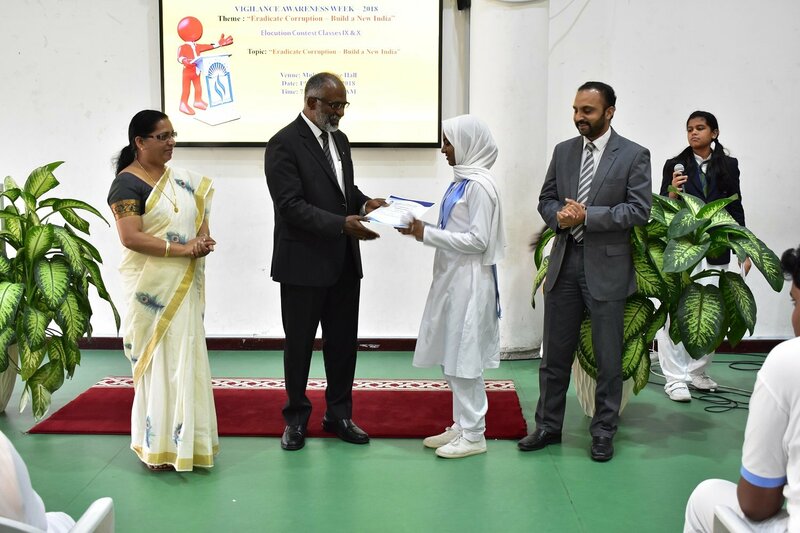 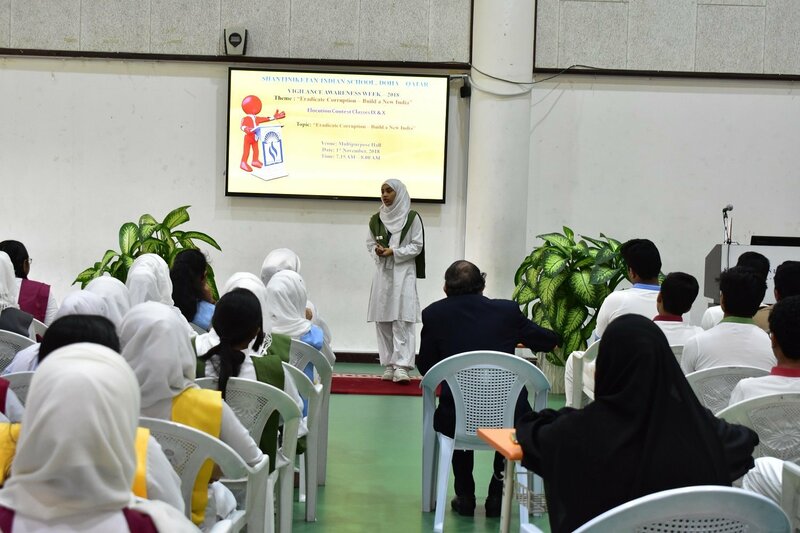 To help create awareness about Preventive Vigilance, and ideate ways through which corruption can be eradicated, the students from classes VI to VIII participated in Slogan Writing and Poster Making Competitions. 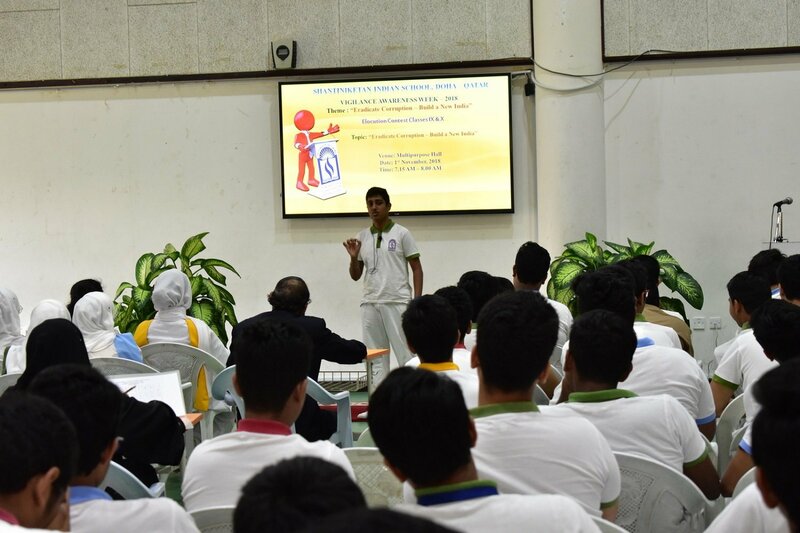 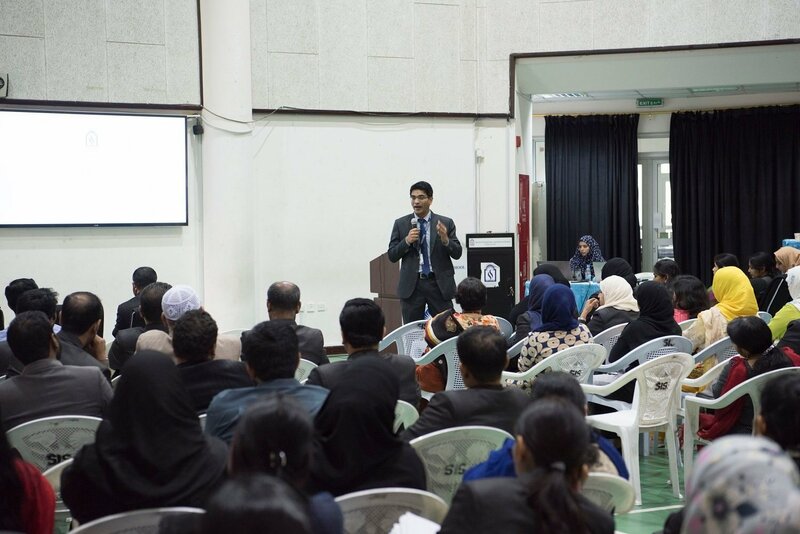 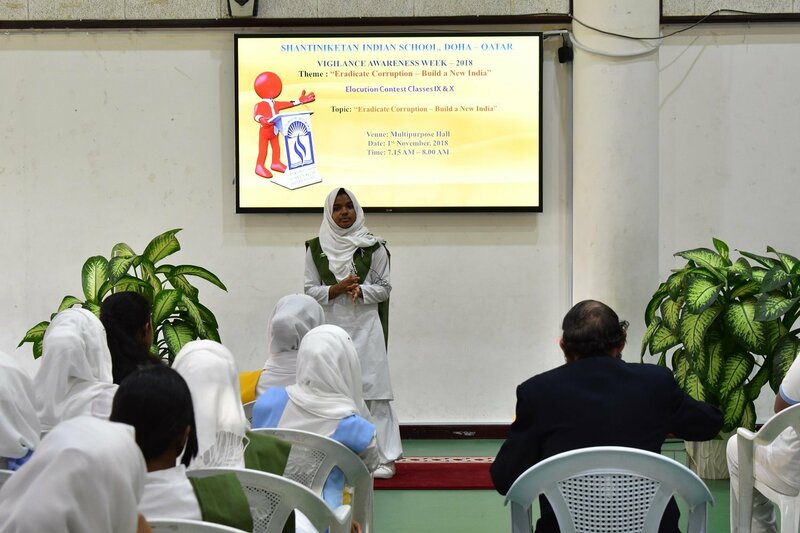 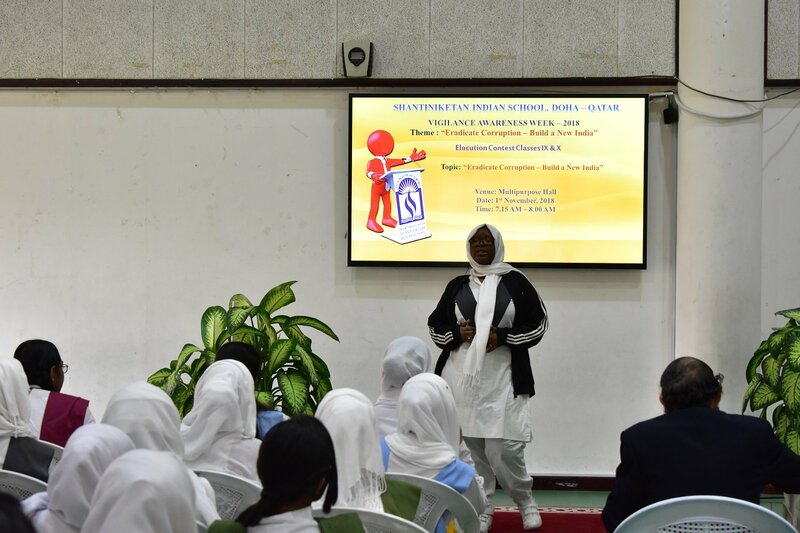 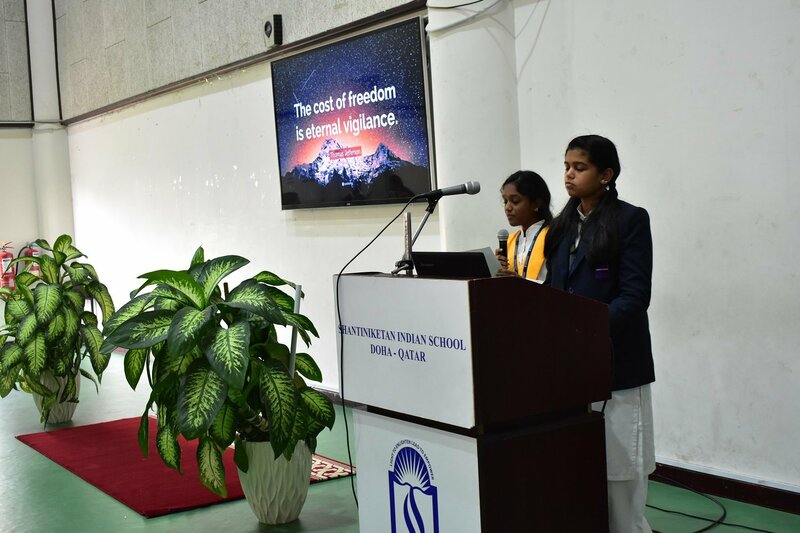 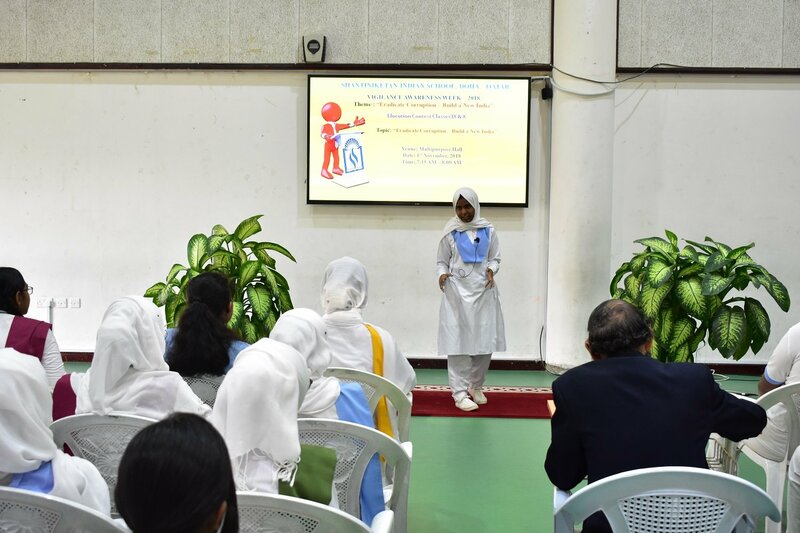 The Students of Classes IX and X participated in the Elocution contest and expressed their views on various forms of corruption and ways through which it can be eradicated. 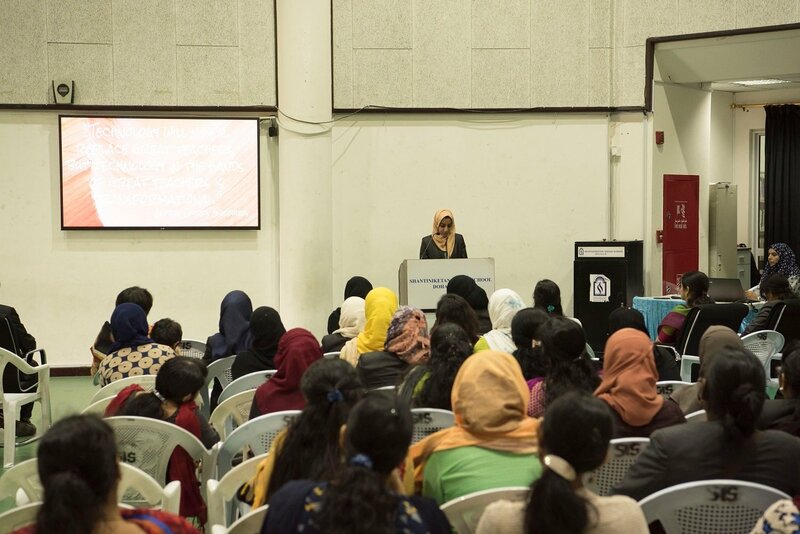 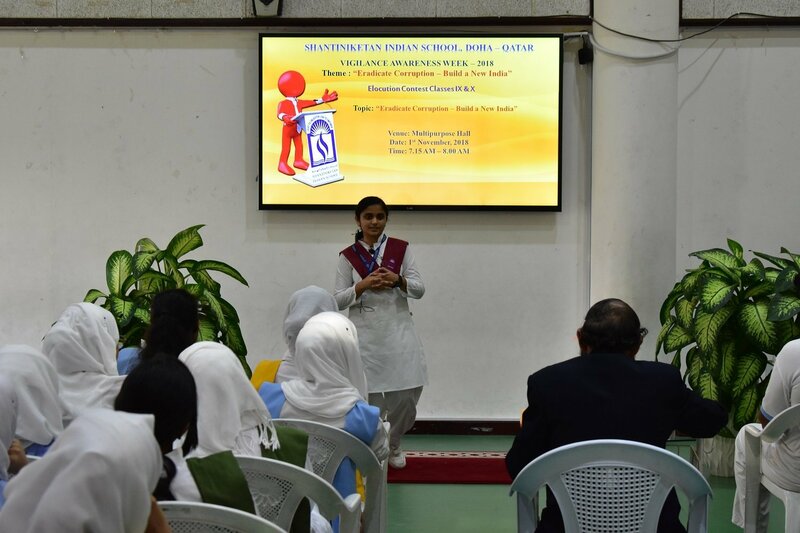 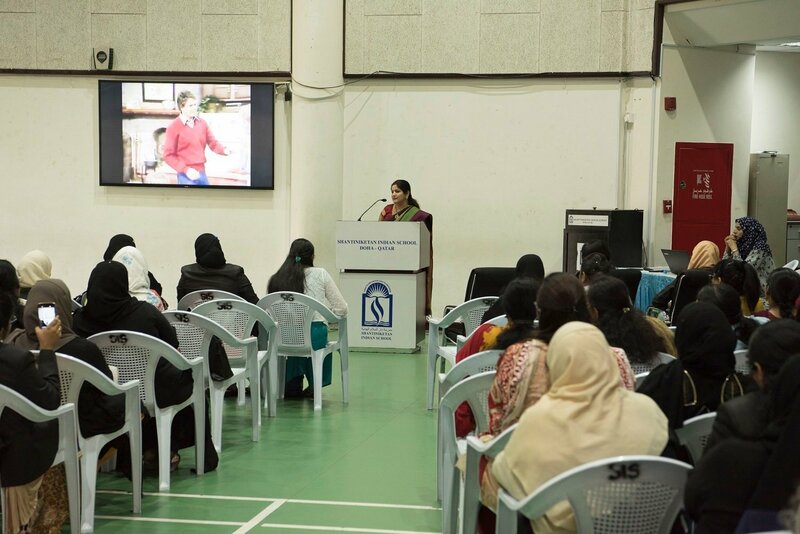 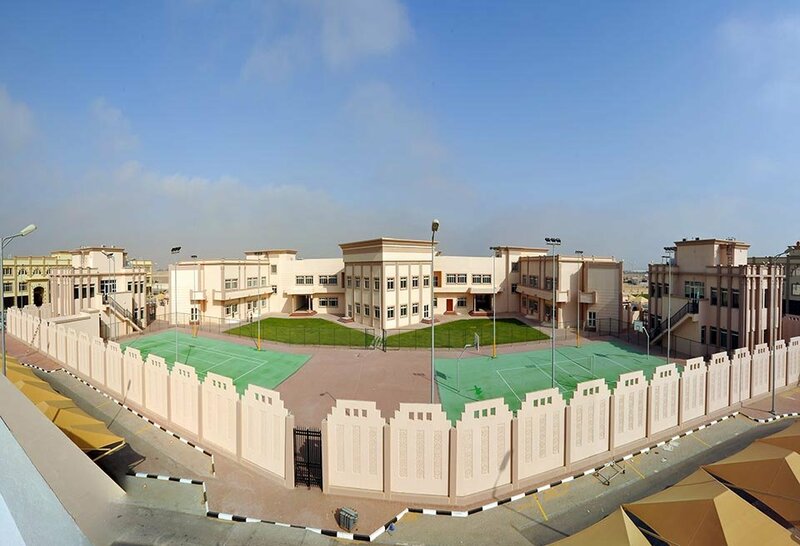 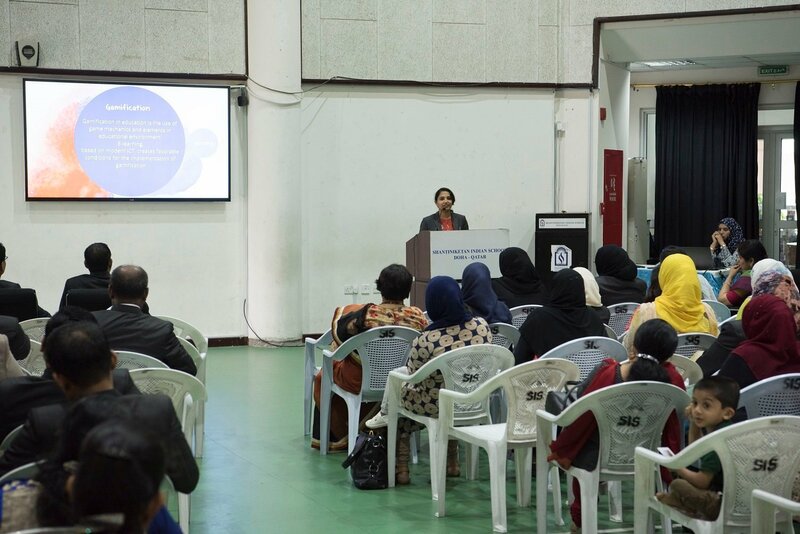 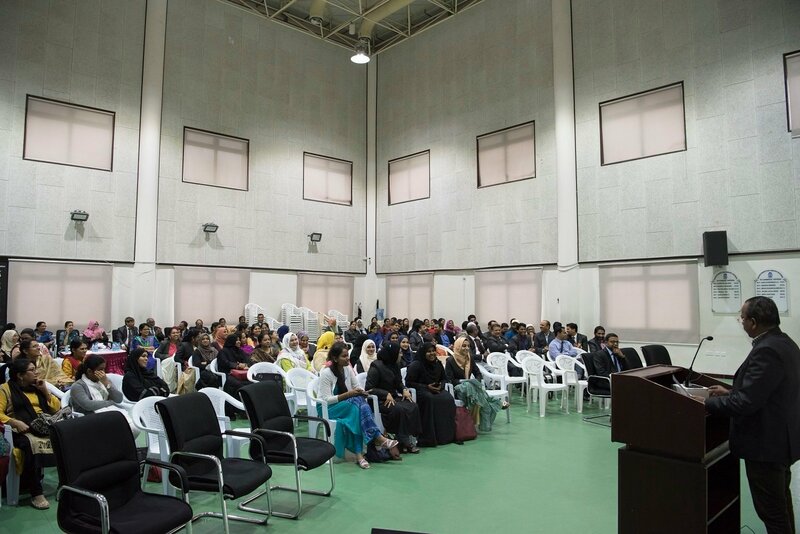 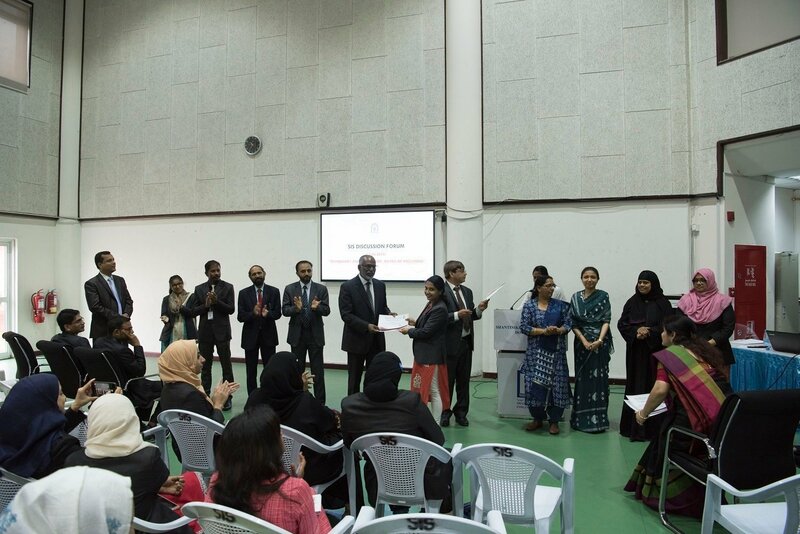 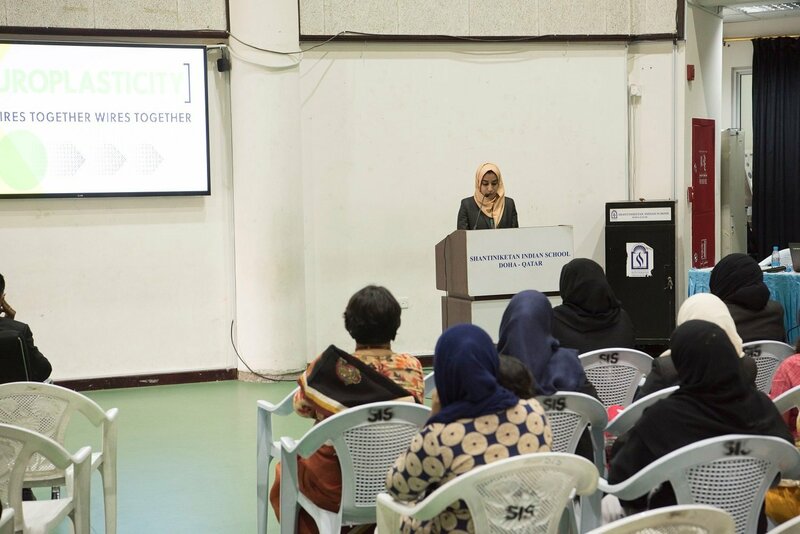 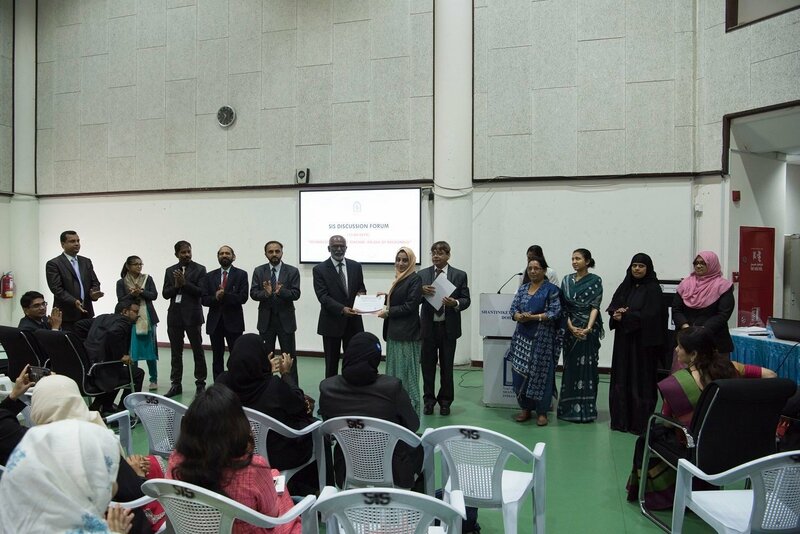 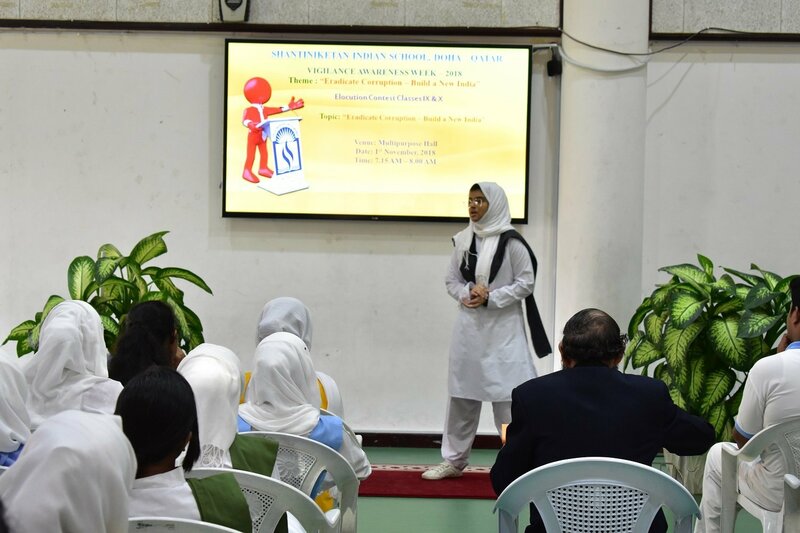 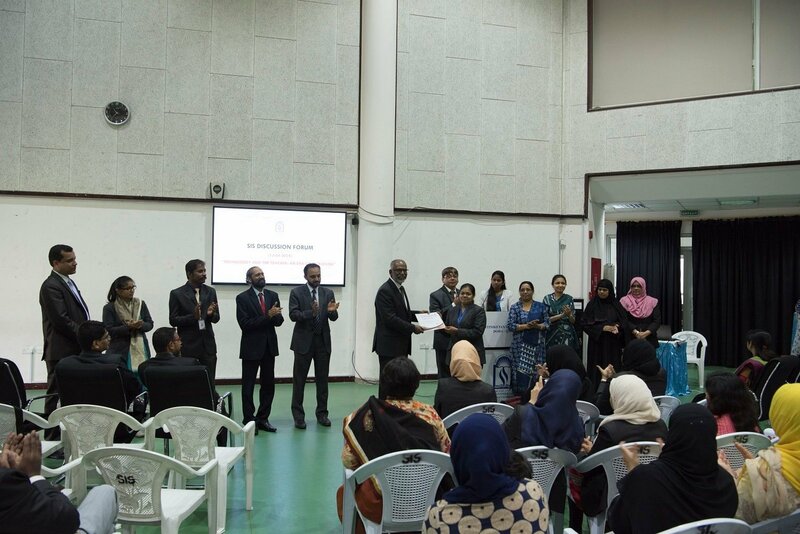 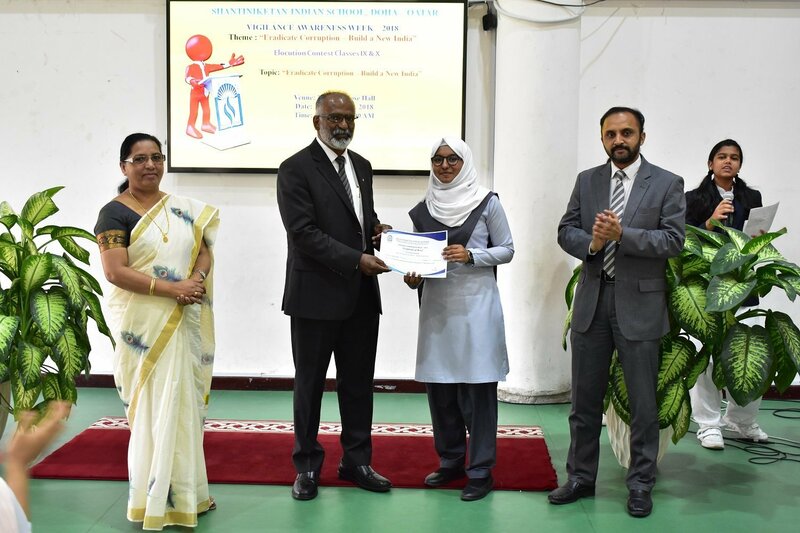 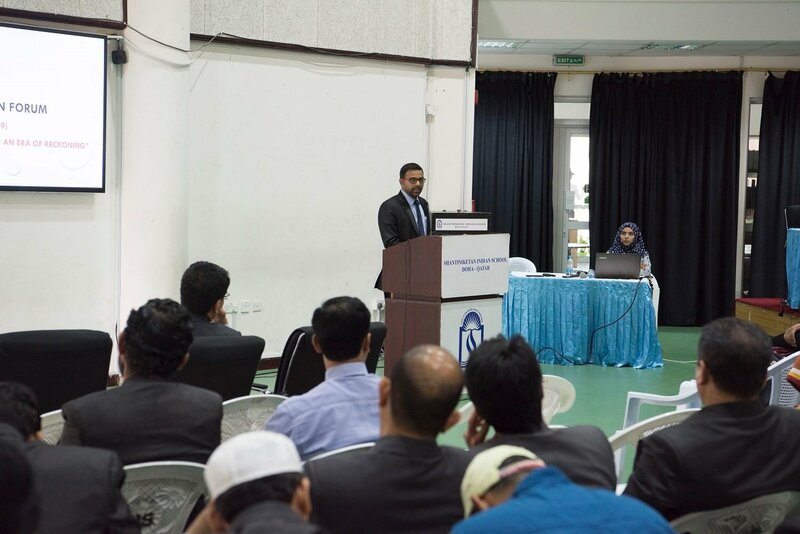 The Senior Secondary Students competed in an Essay writing Competition on the theme. 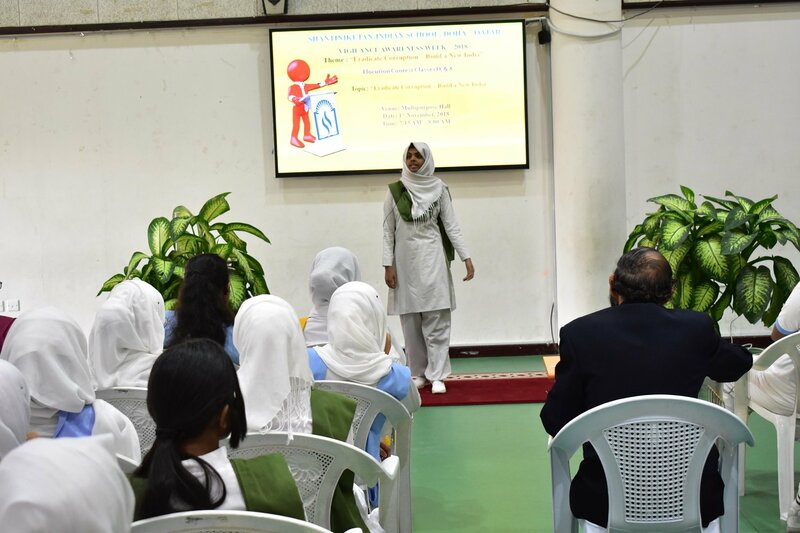 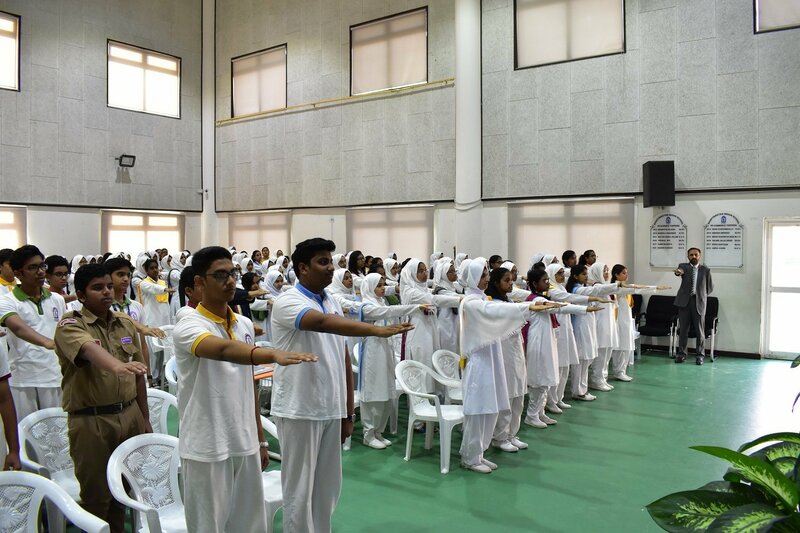 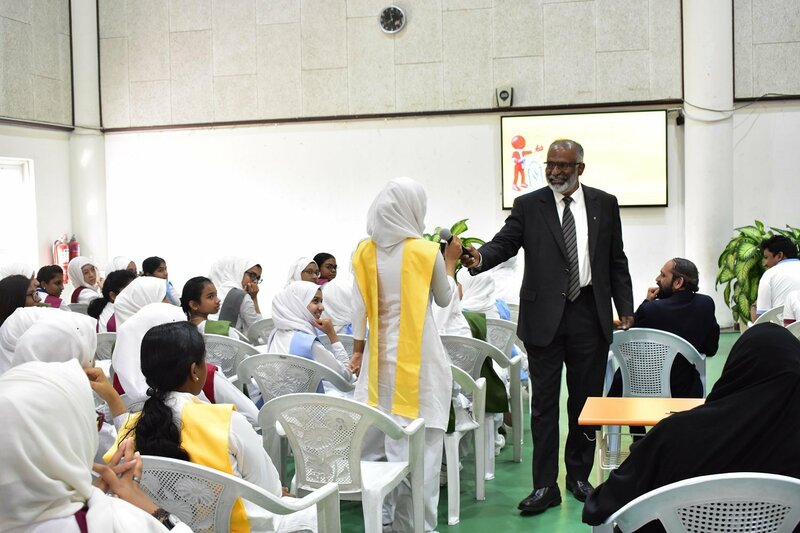 The students took a pledge in the Special Assembly to be honest and promote integrity to fight corruption and keep the system transparent and secure from any form of tampering. 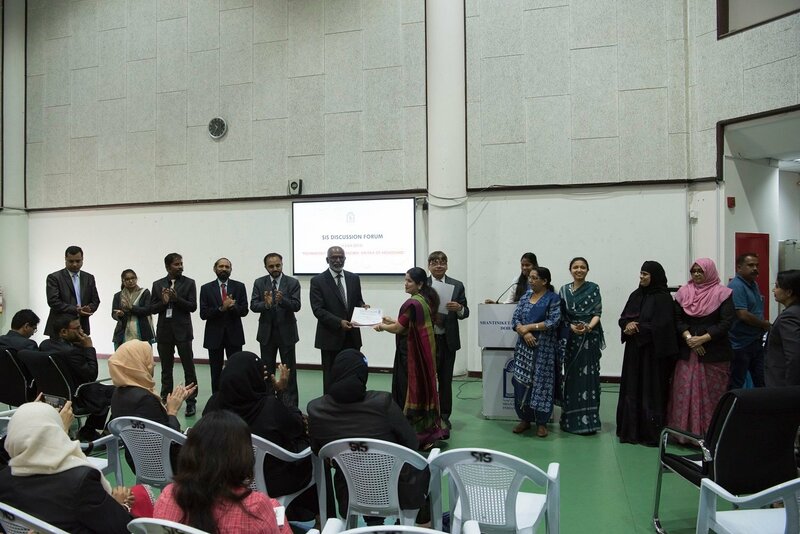 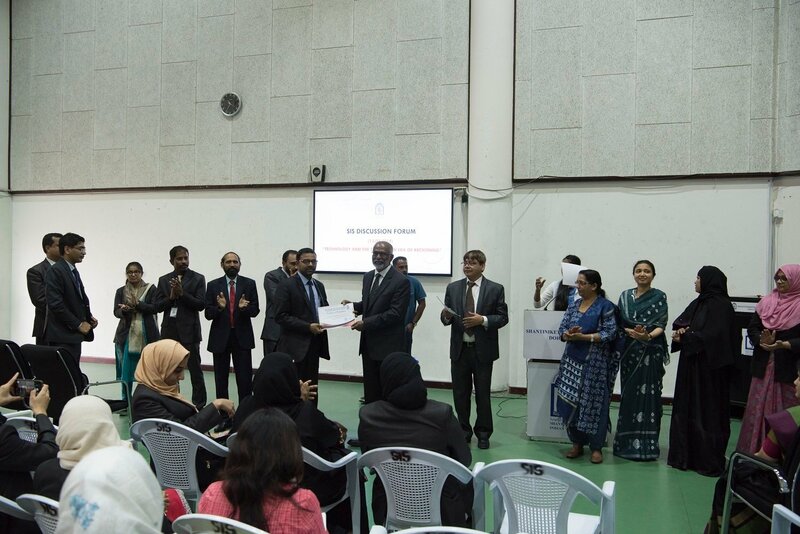 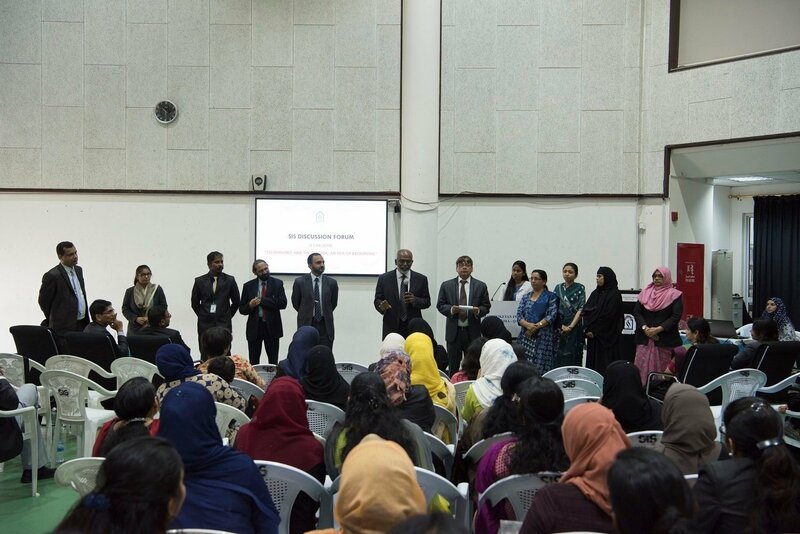 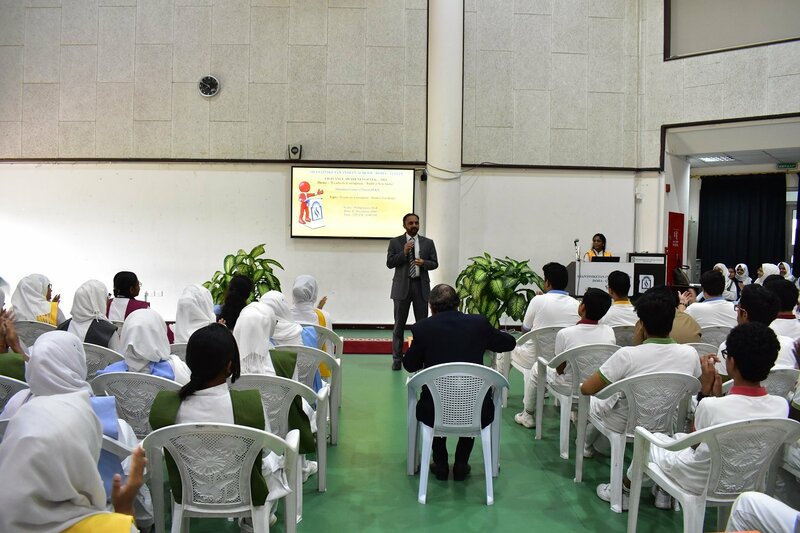 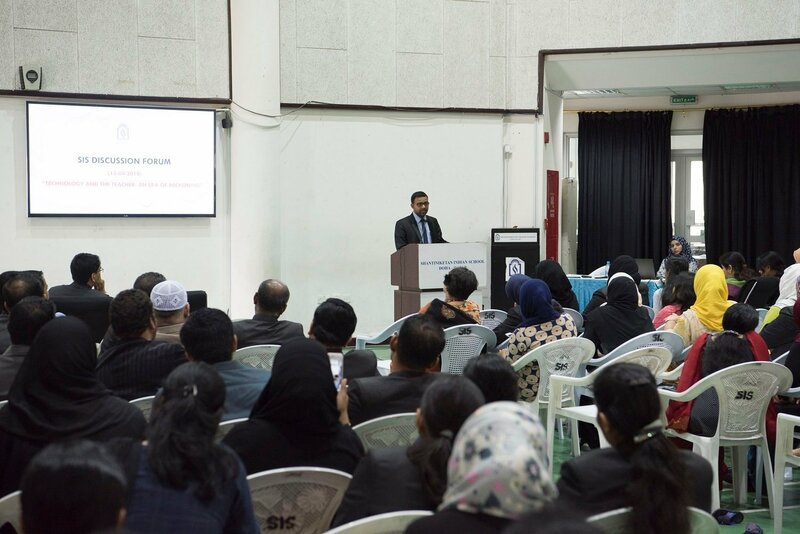 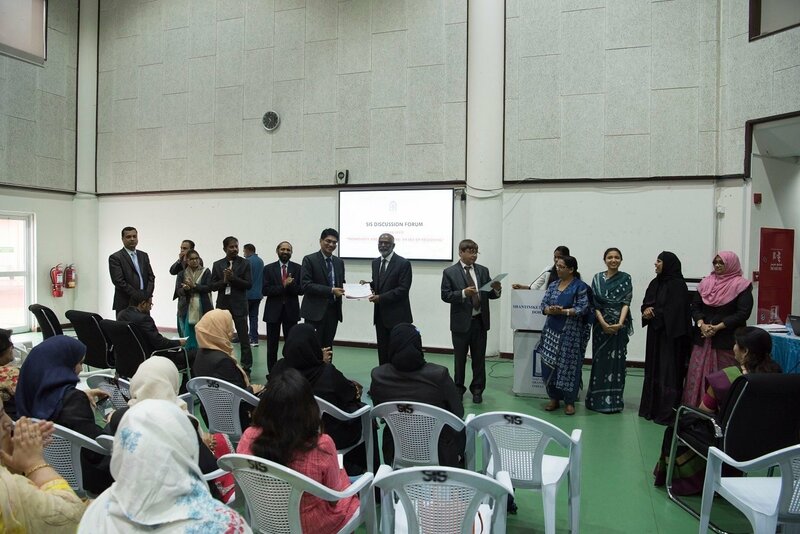 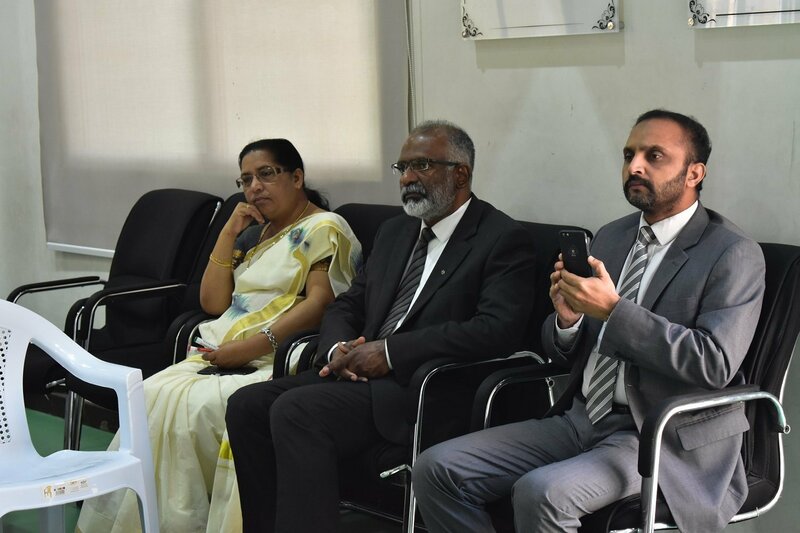 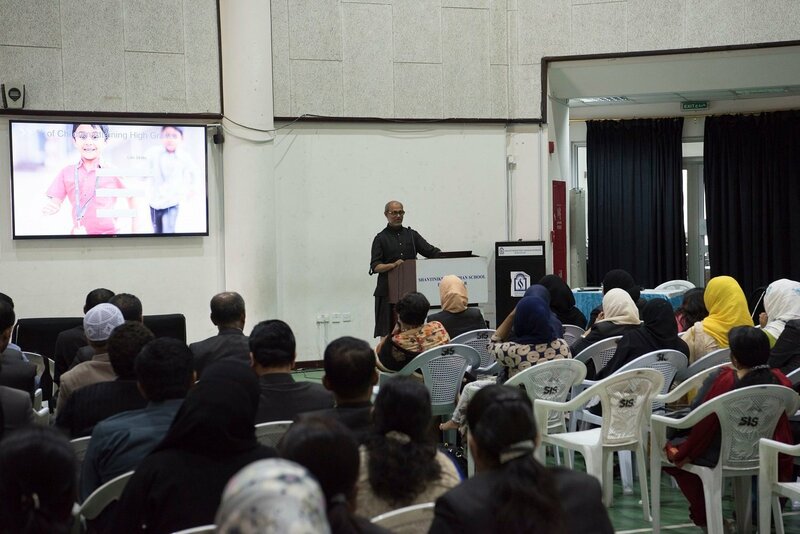 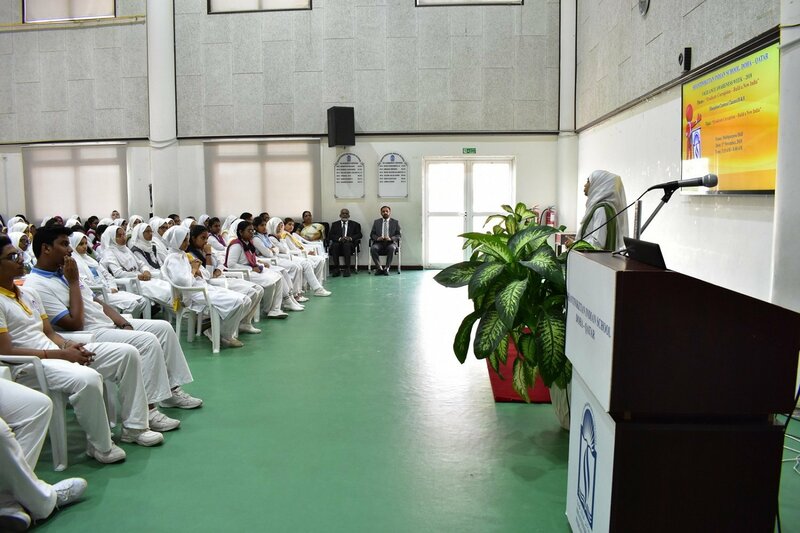 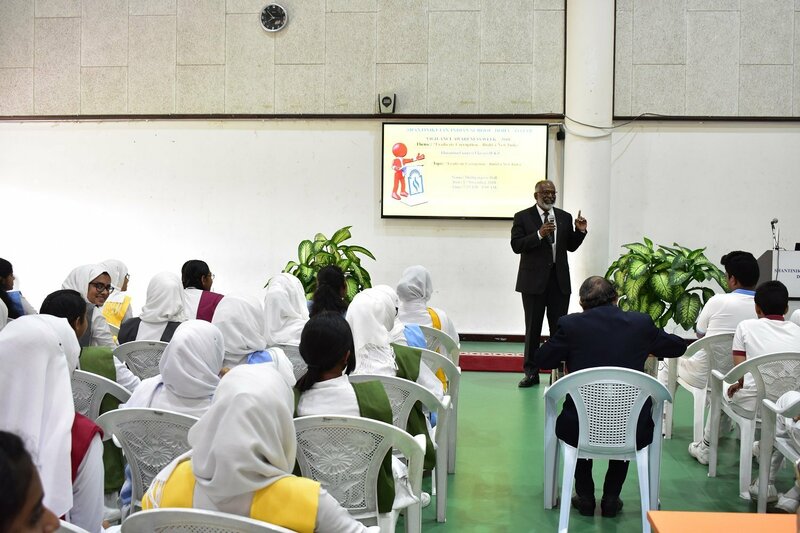 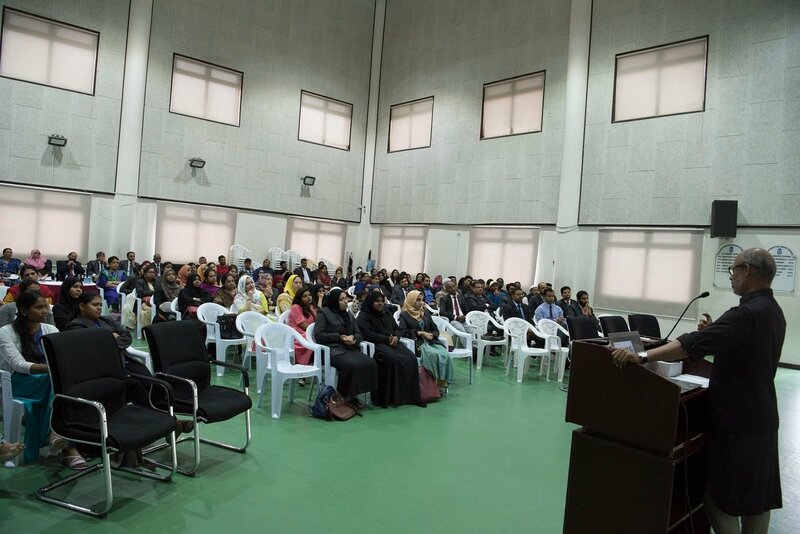 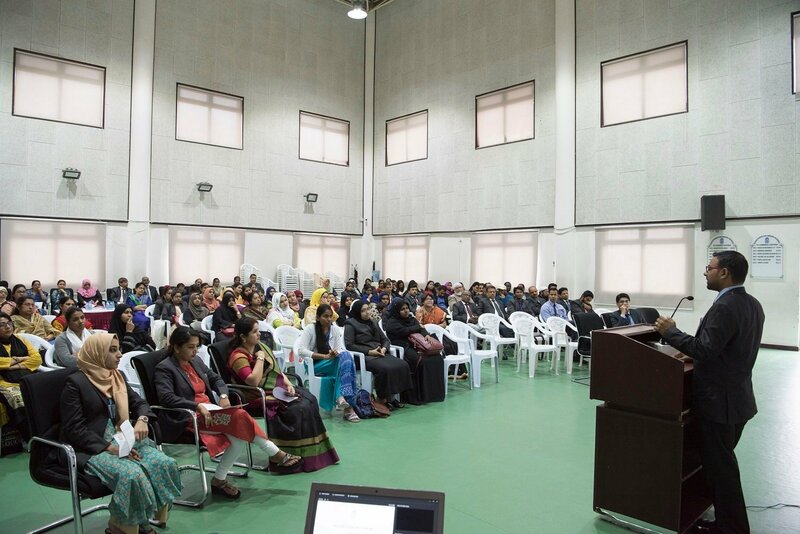 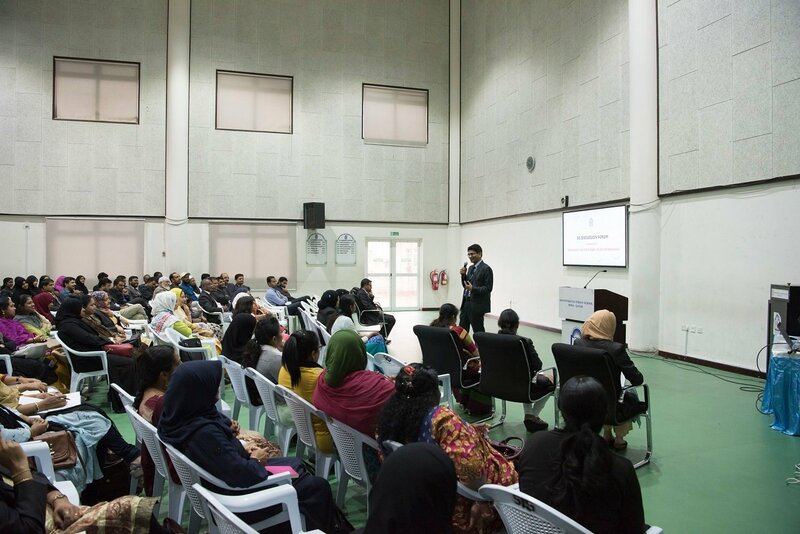 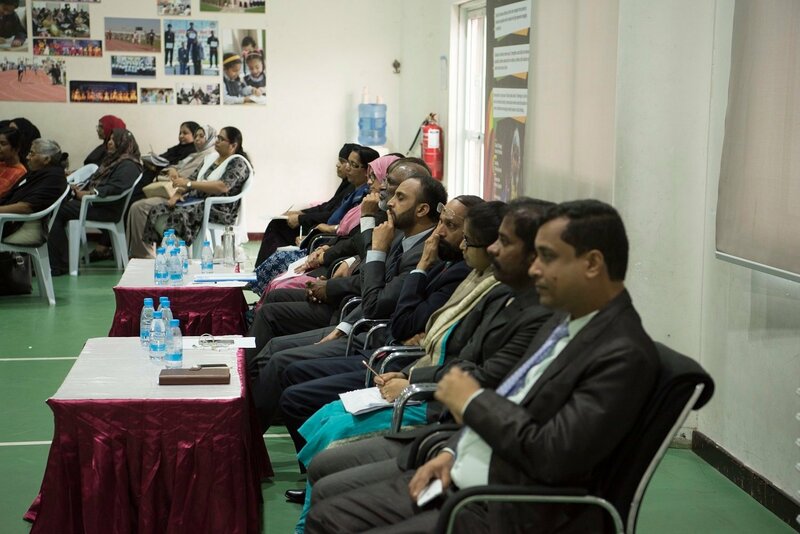 The Head of the Department, Social Science, Mr. Wilson, expressed his thanks to the school Management, the department teachers and the students for their active participation in the weeklong event that created Awareness against corruption and ways it can be eradicated to build a New India.